e compatible with each other. Canon had their Fx mount system that used a breech lock method where the locking mechanism was on the outside of the lens like a bayonet in reverse. Minolta had their own mount design, Olympus had their OM system that championed small form factor SLR cameras at a time when most SLR cameras were massive, heavy things that required users to be weight lifters or pack horses to take them anywhere. Most of these companies, and others that were not so popular also had other mounts in small form factors that ended up fading away. me fantastic, others not so fantastic, but it made the mount extremely popular as companies such as Ricoh produced some great cameras all using the Pentax K mount. One camera in particular become such a legend that it had a 21 year production run, the K1000 was designed as an affordable completely mechanical camera. The K1000 was introduced in 1976 aimed at students, and became so popular that Pentax only finished producing them brand new in 1997, and even today, among students needing a film SLR, the K1000 is generally at the top of the wanted list. At the start of the 1980’s, Camera makers started experimenting with Auto Focus lenses. Pentax adapted the excellent ME series with the ME-F that added extremely bulky lenses with Auto Focus motors and control on the lens, Nikon launched the F3AF, Canon launched the T-80, Olympus had the OM-30 which all worked in a similar method to the Pentax ME-F in that all the AF system was on the lenses though not all bodies could use the AF. R cameras, the Maxxum/Alpha 7000 as the first designed from the ground up as a computer controlled Auto Focus SLR. The Maxxum had LCD screens, push buttons instead of dials, the body controlled all the Auto Focus and Aperture commands, and also used a high percentage of Plastic composites in the construction. The Minolta system was revolutionary in that the body and lenses had ROM chips, and when a lens was attached, the CPU in the body adjusted the programs to match the lens. 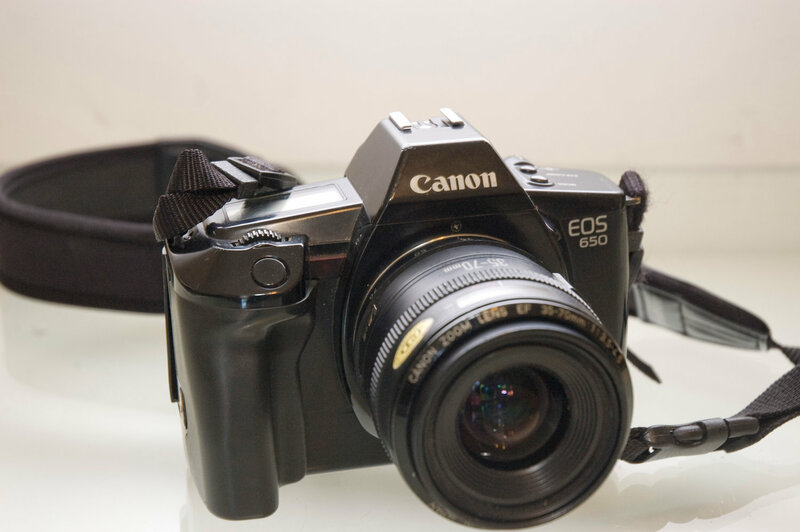 Canon a year later released the EOS system, in a similar move to Minolta’s where a clean sheet design and lens mount designed for the electronic age that has now become so legendary. Fast forward nearly 20 years to 2003-07 and the photographic world was a different place, Digital cameras were sweeping all cameras before them, Canon and Nikon had pioneered Digital SLR cameras and were beginning to produce DSLR cameras for the mass market with models like the EOS 300D, and Nikon D70. Minolta were also producing good DSLR cameras in the Dynax 7D and 5D, but in 2005 announced that they were selling their camera business to Sony, who announced that they would continue the Maxxum/Dynax/Alpha legacy, but have one global branding in retaining the Alpha nameplate for all their models. 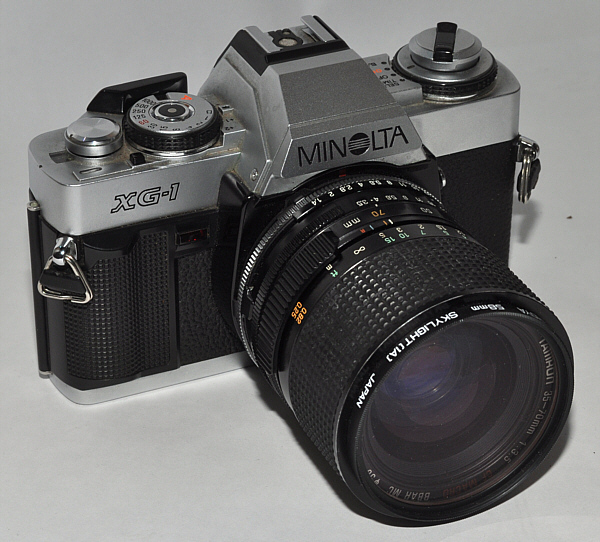 The initial Alpha cameras were quite literally Minolta cameras with new screen printing and labels on them. But since then Sony have really pushed boundaries releasing a good range of cameras including the Alpha A900/850 which were the first full frame DSLR cameras to have in body image stabilizing, and also the Alpha SLT line which use fixed semi translucent mirrors to deliver high frame rates and excellent movie capabilities while retaining phase detection AF. 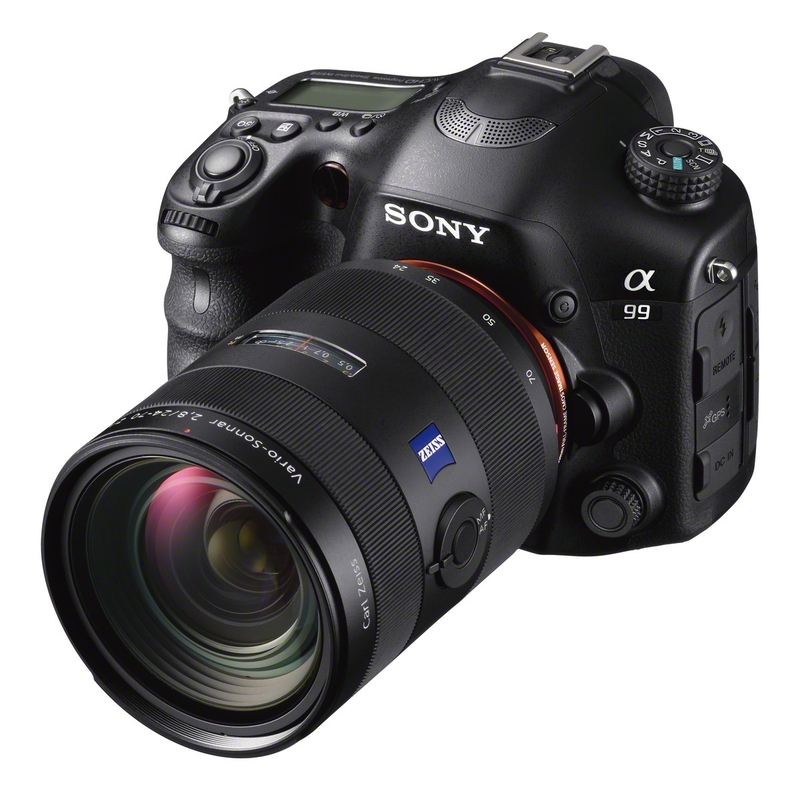 The SLT line also includes the superb A99 which is a full frame camera using this technology. Pentax were also a little late to the DSLR party after an aborted early attempt, but they stuck around releasing the oddly names *ist series, which migrated into the K series that have matured into veru nice cameras like the K-5II and K-30, that will use any Pentax K mount lens and even lenses from the Pentax 67 and 645 range or screw mount lenses with an appropriate adapter that is factory produced. Pentax also have thought about there medium format users from the past with the 645D, this nearly 40 megapixel camera is aimed at serious photographers, who in the past used the Pentax 645 system and have lenses and want to go digital, but dont want to spend the $50k plus of going Phase one or Hasselblad. Pentax were also one of the first companies to have weather sealed models available to most segments of the market and not just the high end pro’s. Currently all of Pentax’s DSLR models, the K-30, K-5II, K5IIs and 645D all offer environmental protection, and i can say from first hand experience, that it works supremely well. Olympus in June 2003 that they were returning to the SLR market, with a pure digital system, the E series. Olympus along with several other companies formed the 4/3 alliance, with the goal of having several brands all designing, building and marketing cameras sharing a common sensor size and lens mount specifications. 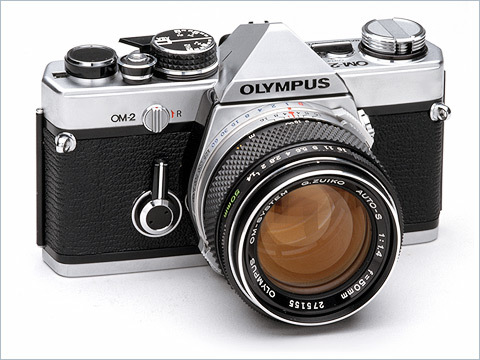 The first camera to appear was the Olympus E-1, this camera was aimed at pro photographers with an all alloy body, weather sealing and lenses designed on the same principles. The E system gained a small following, and some of their more consumer orientated bodies such as the E-500 were excellent value and performed really well. But against huge marketing campaigns by the other players, the E series unfortunately gained little appreciation outside of those who knew. One of the big selling points personally about the E system, was that the cameras were a little smaller than most of the competition, and they offered an adapter to use the older legacy OM lenses. Unfortunately the only other companies among the alliance to release bodies for the 4/3 system were Panasonic, and Leica. Leica initially released the Digilux 3 using the 4/3 mount and it was an outstanding camera, i have seen images enlarged to 18×20 inch that look amazing. The Panasonic was pretty much the Leica offering with different Firmware and a slightly different look. Now that the history is out of the way, let me explain the title of the article. The rise of DSLR’s and other ILC systems, has also led to the rise of people wanting to use their old lenses on their new fancy cameras…. All these old lenses for all the older systems have become known as Legacy systems. If you own a Nikon or a Pentax, sweet as, you can use lenses back to the 70’s without adapters, but you may lose some of the computer functionality of the camera. Pentax will allow you to go back further with a small adaptor to fit old screw mount lenses to a K mount camera and retain 90% of the functionality. Leica is the same, their superb, still handcrafted M series digital rangefinder cameras still use the same M bayonet fit mount that was introduced in the 1950’s, and companies such as Voightlander and Zeiss still make new lenses to fit M cameras. If however you have an Olympus OM-1/2/4/10/40, or Minolta X series SLR then your out of luck, no current camera will natively accept these lenses with no loss. But having said that, there are some very crafty people out there who have designed mounts so you can convert your old lenses and use them on another brand body, common ones are for using Canon FD lenses on EOS cameras, or Leica M or Olympus OM lenses on x Brand bodies…. Plus Olympus also make adapters to fit OM lenses on E series or Micro 4/3 bodies, and E series lenses to fit the m4/3 system. Sony offer an A series adapter to fit Alpha lenses to Nex bodies, and Canon offer an adapter to fit EF lenses to M EOS system. What does this mean for you, easy, all those old lenses you have sitting at home for those old OM’s F2’s K1000’s etc are still useable, and with patience still deliver excellent results and gives new life to those legacy lenses that most think belong in museums.